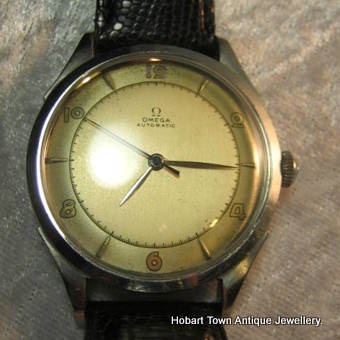 This Omega Bumper Automatic 35 mm Fantastic Original Dial 1946 gents watch is in especially fine original condition. This watch has got style written all over it and has a lot going for it , especially for the purists! 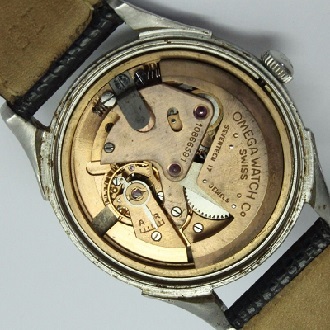 Housing the very first automatic watch movement made by Ω Omega ~ the 28.10RA bumper auto , which is running strong and presents near new. 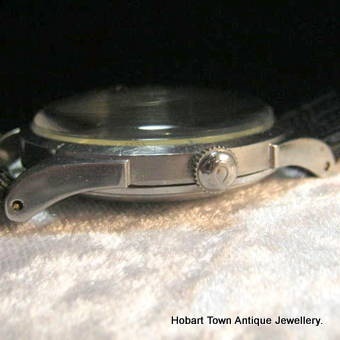 Untouched original two tone dial which changes colour depending on the light source and angle viewed. 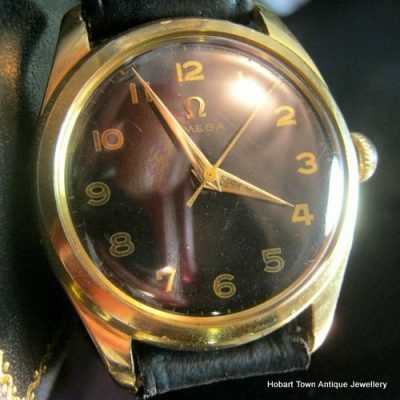 A classic Omega last half of the 1940’s restrained and stylish dial with art deco style font to the Arabic numerals , which are gold with black trim while the odd numbers have applied gold spear point markers. 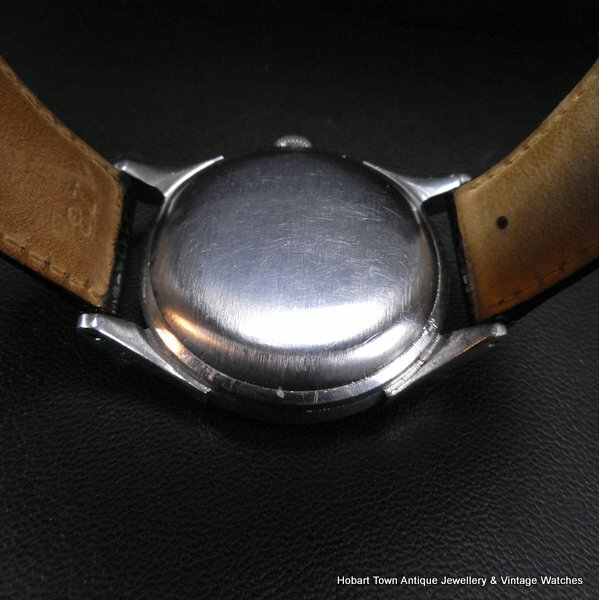 The fine white steel leaf hands and seconds sweep are original to the watch. 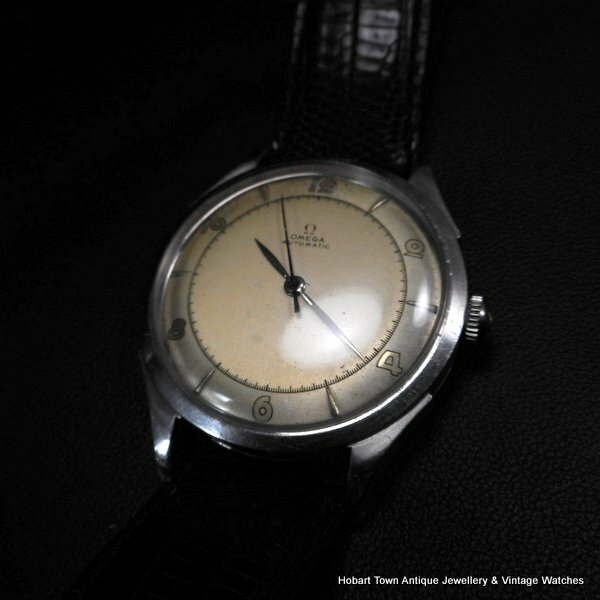 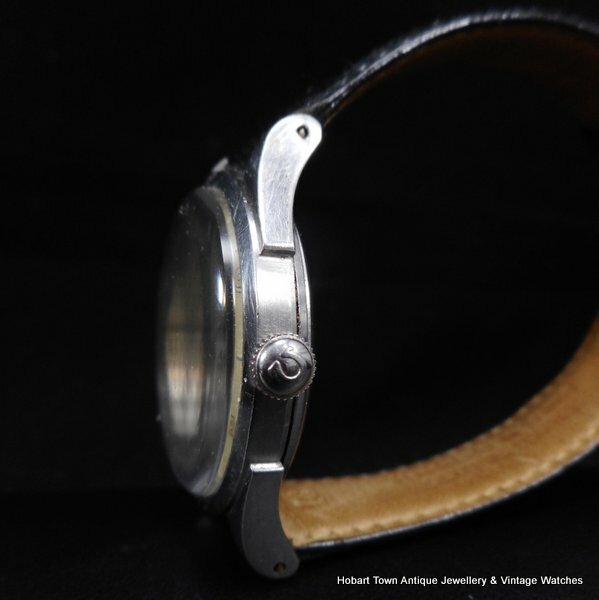 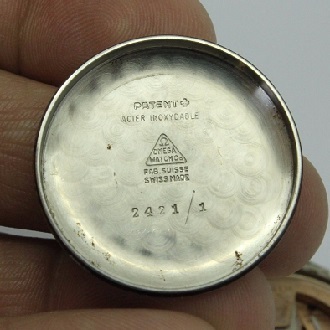 The entire watch remains in 100% original condition , including the logoed crown. 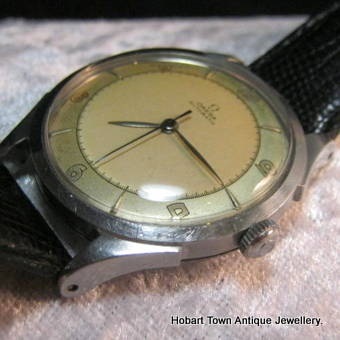 It has become quite difficult to find Omega’s of this design and 1940s age that have not been repainted or remain in fine original condition such as this one. 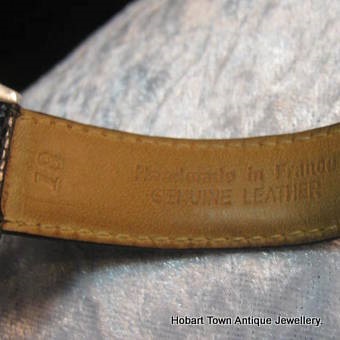 The case remains in excelent condition with very minor signs of use and are of no consequence at all. 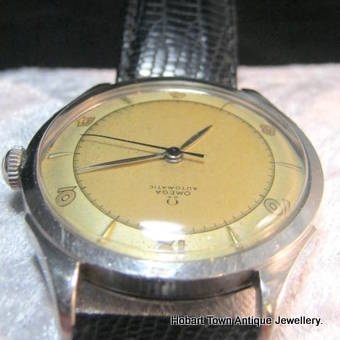 The dial has devepoed a very light patina and has enhanced the attractive coloiurway of the dial! 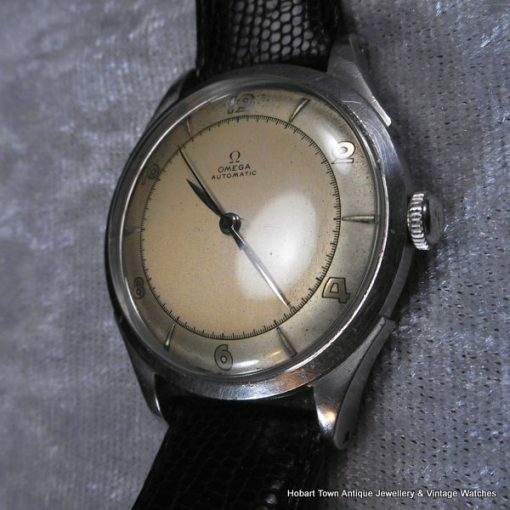 This watch features Omega’s very first automatic movement , the Omega Cal;28,10 RA ~ which went on to become their 350 series of bumper auto’s. 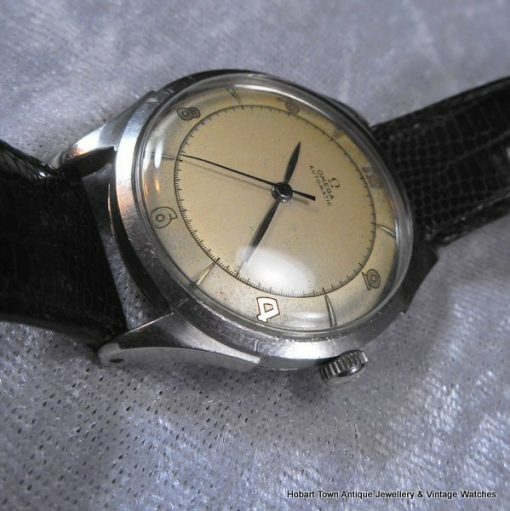 In fine original condition , running strong and keeping good vintage time ~ this Omega Bumper Automatic 35 mm Fantastic Original Dial 1946 really is a standout vintage Omega , Ref;2421. 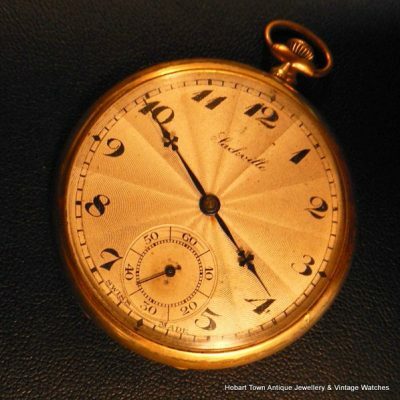 This one is a cut or two above 95% of this model we have seen on the market and offers genuinely good value at our selling price and is sold with our free 6 months warranty. 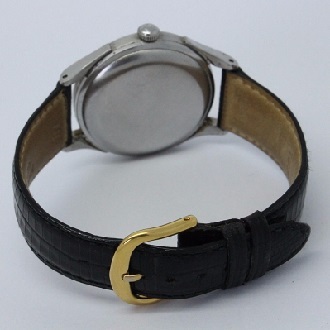 Fitted with a fine quality hand made French black leather strap. 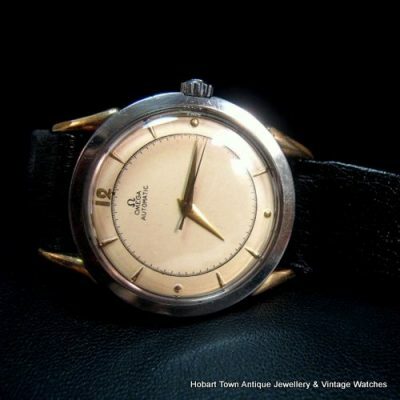 If you have any interest in this outstanding Omega bumper automatic 35m watch , that you take the time to compare to any other of the exact same model , via Google , as I am very confident that this handsome omega will stack up favourably condition , originality & price wise to those that you will find ~ around $600 to$1,000 below lesser examples which we found when comparing! 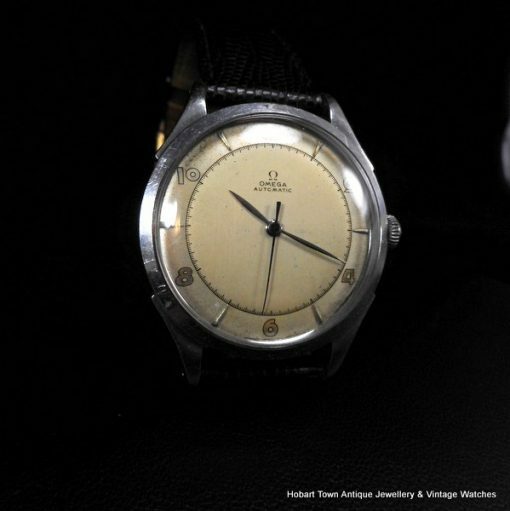 If you have any questions about this handsome vintage Omega Bumper Automatic 35 mm fantastic original dial 1946 watch ~ please email and we will respond promptly.